It is rare that anyone ever is prepared for a roofing problem. However, on the chance that you discover your roof is leaking, Naperville Exteriors, Inc. can help make the roofing process easier for you. Furthermore, you can also count on our prices being reasonable. Naperville Exteriors, Inc. has endeavored to build a reputation as a leading roofing company in the Greater Chicago Metropolitan Area. Since 2002, homeowners and builders throughout the Chicagoland region have relied upon Naperville Exteriors, Inc. to deliver quality work and excellence on their roofing projects. Quite frankly, just about anyone can attach roofing materials to a roof deck, but a only a small number of roofing contractors actually have the talent and expertise to furnish the appropriate materials and install them as skillfully as Naperville Exteriors, Inc. can. Many homeowners don’t understand the level of workmanship necessary to provide a first-rate roof replacement. Regardless if you are a Plainfield homeowner needing an existing roof replacement or a Plainfield resident needing a roof repair, Naperville Exteriors, Inc. has the roofing contractors you need. Plainfield customers can always rely upon our professionals to carefully assess their roofing needs before recommending the best affordable solutions. Plainfield, Illinois is located in Kendall County and has close to 40,000 residents. Naperville Exteriors, Inc.’s Cedar Shake Roofing, Traditional Roofing and Slate Tile Roofing are known for withstanding severe weather and extreme temperatures. Naperville Exteriors, Inc. has the roofing services and expertise Plainfield residents can trust. Our mission is to provide Plainfield homeowners with the roof repair workmanship and highly-skilled roofing contractors they can depend on. Naperville Exteriors, Inc.’s name is synonymous with excellence, and we will do all we can to ensure that our customers are completely satisfied. After your roof installation, we have one of our contractors walk around your home with you to make certain that everything is to your satisfaction. Naperville Exteriors, Inc. prices its products fairly and we strive to assure that our Plainfield customers receive precisely what they ordered! Naperville Exteriors, Inc. has the perfect roofing solution for your home. In addition, we’re dedicated to helping you decide what best meets your needs and your budget. Naperville Exteriors, Inc.’s roofing contractors use only the finest roof repair materials and we are committed to completing your roofing project in a timely manner. 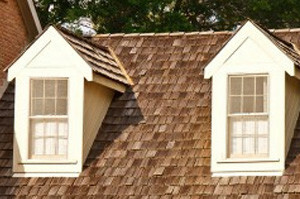 Naperville Exteriors, Inc. believes there are a number of ways to avoid needless expenses related to roofing your home. After we evaluate the state of your roof, Naperville Exteriors, Inc. will provide you with an appraisal of your roof’s condition and whether a new roof replacement or only a roof repair is necessary. If you only require a roof repair, Naperville Exteriors, Inc. will never expect you to have an entire roof replacement! We have a sterling reputation for delivering the finest workmanship, and unmatched level of roofing services. To find out more about our roofing services, call us at: (630) 254-4831, today!